Transmission line designs have a complex, damped and usually folded duct inside, coming from the rear of the bass unit, that vents to the outside world. Jes says that he “learned by doing”, listening and experimenting with different enclosures. “I was fuelled by a love of music from the age of eight, but it wasn’t until my degree dissertation that I attempted a transmission line – a large three-way featuring a 12in woofer. I studied in great depth Martin J King and John Risch, which gave me a solid grounding in understanding transmission line technology and its implementation.” His company was launched in June 2017, following 18 months of R&D. carbon film resistors. Claimed frequency response is 24Hz to 45kHz, sensitivity 90dB and nominal impedance 6ohm. Around the back is a pair of 4mm pure copper binding posts and a treble level cut switch. This excellent compact floorstander far exceeds expectations for a product at this price – indeed it even has a touch of the exotic that its price rivals lack. Rush’s The Camera Eye is a torture track for any loudspeaker, with its three-dimensional soundstage, amazingly fast and propulsive bass guitar work and firecracker drams. The K320 loves it, showing just how impressive a well-done transmission line design can sound. The bottom end is so tight and taut that you can hear how Geddy Lee’s bass guitar sounds just as percussive as the drum kit. The bottom end is deep and strong, yet eerily well controlled. perfectly, letting high frequencies shimmer with a lovely metallic sheen without ever becoming tonally harsh or texturally coarse. Instead, the music takes on a deliciously dextrous yet floaty feel that makes the song an absolute pleasure to play. 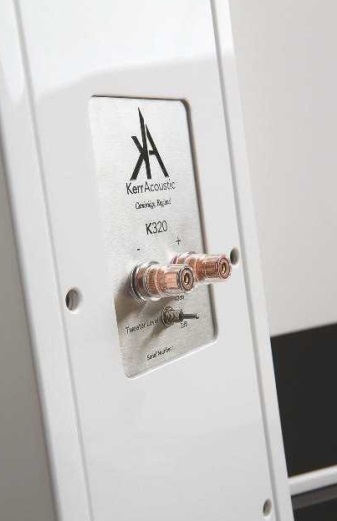 the K320 reaps the benefit of that high-quality tweeter, showing a delicacy and vibrancy to the sound that’s often lost by clumsy fabric domes, and/or lesser mid/bass units. Things are pleasingly neutral, if not quite translucent. My aged copy of Wrapped Around Your Finger by The Police comes across in a most impressive light. You can peer right into the mix and get a great feel for the recorded acoustic. Things are marked out in space with great accuracy, and the stereo image is satisfying wide – if not quite as cavernous as a true high-end offering. For me, what absolutely defines this design is its combination of speed and smoothness. 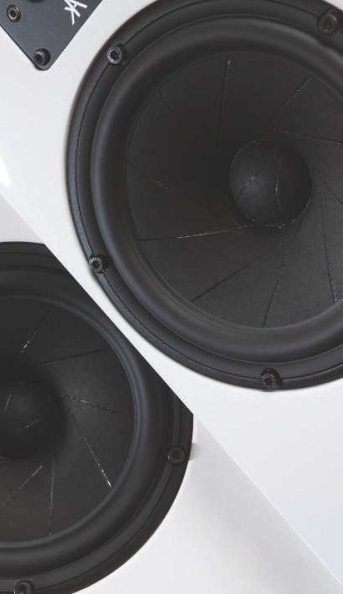 The super-light tweeter, allied to its ultra-tight bass and highly inert midband, make it great fun with fast, propulsive music. Kraftwerk’s Die Roboter sounds smooth and sophisticated yet hugely engaging. This speaker’s transient speed is excellent, and every type of music it touches sounds highly involving, vibrant and alive. The great thing is that everything ties in perfectly together; there’s no sense of the treble being ahead of the bass or of either driver interfering with the other to cloud the midband. 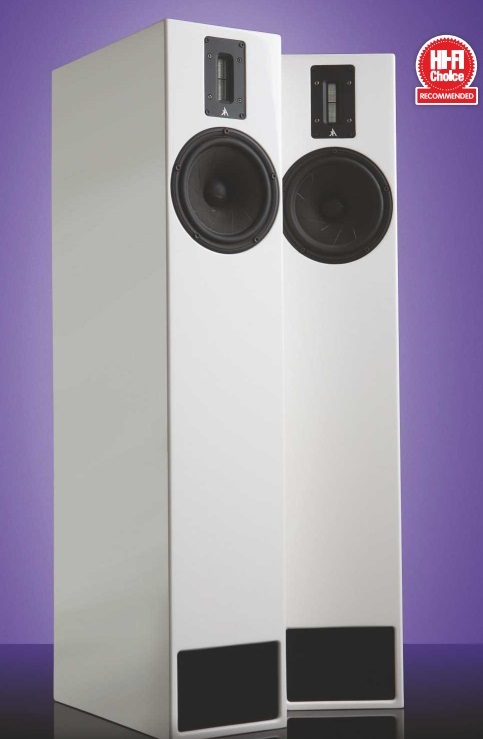 Instead, it presents a cohesive single object in space and time, which is just what a great loudspeaker should do. 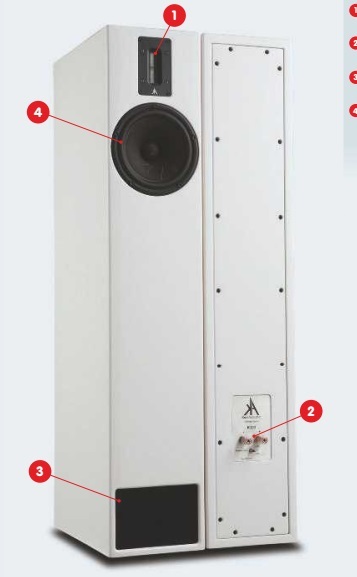 Spendor’s D7 (HFC 370) is a similarly sized and priced 2.5-way floorstander with the company’s own linear flow reflex port at the bottom, plus 180mm Kevlar bass unit, 180mm ‘engineering polymer’ midband driver and 22mm fabric dome tweeter. It’s a softer, gentler and more rounded sound with just a hint of boxy coloration, but is nevertheless highly musical. 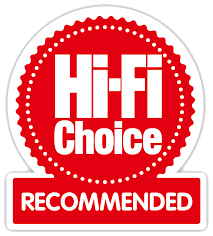 The D7 lacks the sweetness of the K320 tweeter and grip and articulation of its bass. Hear the difference for yourself to decide.